(800) 656-9862 Best Carpet Repair Fort Campbell KY - Talk To Us Now! If you have a carpet repair concern in the Fort Campbell, Kentucky area, or if you need a carpet repair near me, give us a call at (800) 656-9862. We do carpet repair services, Pet damaged carpet repair, carpet seam repair, berber carpet repair, carpet to tile transition repair, and stair carpet repair. If you need carpet patching due to a pet damage tear or any other concern, give us a call! 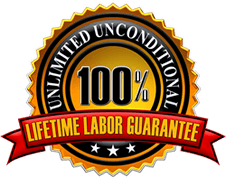 We back up all our work with a lifetime labor guarantee. To learn more about our carpet repair services, click here. Also, please enjoy reading our reviews as well.